Fossil fuels may not be the long term energy solution our planet needs – they are inherently unsustainable as the supply is not infinite – but with cleaner technology employed at every step in extracting, processing and using them, it’s clear that they are a vital player in our short-to-medium term expectations, especially as global populations continue to rise and developing nations increase their energy demands. For example, in 2009 the world use of natural gas was up 131% compared to year 2000 – fossil fuels aren’t going away any time soon. That’s why Hobbs Valve has invested so much time in supporting the oil and gas industries, ensuring their processes are as leak-and-maintenance free as possible with our zero leakage bi-directional solutions, and minimising inefficient downtime in extracting, storing or processing fossil fuels. 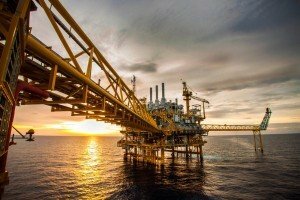 The industry has many inherent dangers aside from the obvious risks associated with offshore platforms – it deals with highly flammable material after all. That’s why safety is our number one priority – with a zero leakage solution and offering the very best in structural integrity we deliver reassurance and peace of mind to each and every one of our customers. But it’s about more than just product innovation. It’s about our focus on the individual and occasionally unique requirements of our clients. We work closely with our customers to find out exactly what challenges they face, what their specific needs are and how Hobbs Valve can make their job that little bit easier. Just look at our latest award on Maersks’ Culzean oil field for an example. So as the industry needs to be more focused than ever on safety, value and efficiency, you can rest assured that Hobbs Valve is in it for the long term as your triple offset butterfly valve partner. To see why we’re the ideal choice for the fossil fuels industry – as well as an ever-developing list of alternate industries – check out our standard valve product range.